I am Jenxi, personal blog. Our co-founder Jenxi is an avid blogger. His personal blog has been around since 2003. 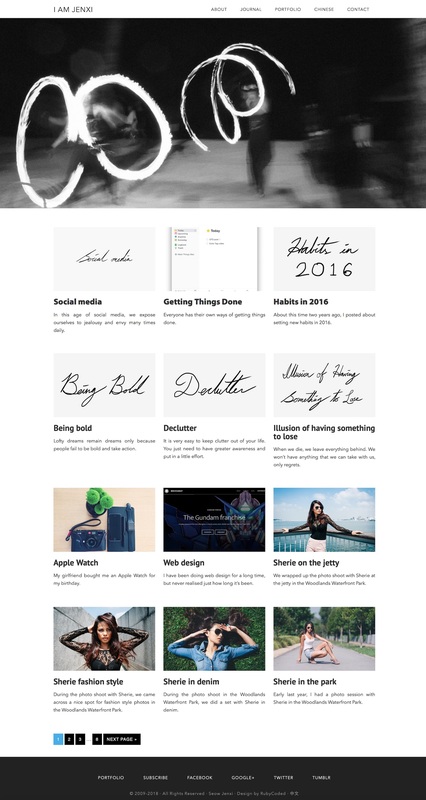 The latest design of his blog uses a full-width design that maximises the impact of photos in the entries. The photos are presented in visual layout that allows the photos to be sequenced to complement the text in story-telling.